5 tips for your global HR strategy. Cafe Classic: Dream of Becoming Senior VP, Global HR? Today, we operate in a global business environment. The direction of expansion is driven primarily by the need to have a footprint in key target markets, opening the door for HR to drive business impact. communicate with global workers. Last month I had the chance to speak at conferences in Reykjavik and London – part of my focus on global HR. I did hear some new terms, phrases and conversations in the global arena that I liked very much: Net Promoter Score is a tool used to measure customer loyalty. As we’ve moved into an era where more and more companies have offices and staff around the globe, HR needs to keep in mind how this can impact recruitment, reward strategies, communications, and developing a unified culture. Think global and act global. Global events. Globalization, the unification of every aspect of a business culture and strategies, is becoming increasingly more important as companies work to streamline their goals to get an edge on the competition. c) New To HR. Globalization, the unification of every aspect of a business culture and strategies, is becoming increasingly more important as companies work to streamline their goals to get an edge on the competition. c) New To HR. The post Global HR appeared first on New To HR. Human Capital Management Big Data compliance Dayforce ConnectedPay employee diversity global HR global payroll HR Human resources recruitingTaking care of myriad human capital management duties has always been a challenge for corporate leaders. For many organizations, it’s a daily grind that encompasses processing the payroll, administering benefits and fostering an environment with strong employee engagement. This has always been difficult. A companywide, global HR implementation conducted in one single overnight deployment might sound like a scary prospect for some. What were the business and technology challenges that prompted Rolls-Royce to deploy a new HR system? The leading privately held global executive search firm, Spencer Stuart , just told us what they look for in an HR resume. It's a pretty grand claim but I happen to know it's true because a close friend is a Global Practice Leader for Spencer Stuart. 23 HR Most Influential UK Thinker 2011. 1 global online influencer in talent management. #6 The HR Capitalist. 5 Things Every HR Pro Can Learn From Riley Cooper and the Eagles. Employee Engagement Strategy: What’s Your Story? The New (Social) HR. I have had management professionals, suggesting that it is naïve for a female to assume that she will have the same chance to succeed in a foreign post as her male counterpart; as it seems that this is caused by the stereotypical perceptions that exist in the world of global commerce. One added wrinkle in human capital management that’s unique to our modern era is the emergence of companies and staffs that are altogether global in scale. Global leaders, please stay human and present for your teams. Go with a global HCM solution. Building organisations that thrive, and developing the talent pool to lead them are challenges at the heart of business strategies. Given this, one of the sessions at the Singapore Human Capital Summit I was most looking forward to was the one on innovative Asian people strategies. Most HR tech companies are born local, and if successful, gradually become global. Going global with HR technology can be surprisingly challenging. I was pleased to see some companies that were designed to be global from the ground up. This year’s superstars are transforming HR through innovation and agility. HR professionals across the globe are stepping up to meet the challenge. Superstars were nominated externally and by the HRO Today Global editorial staff. With customers, partners, and HR luminaries coming from all over the globe to congregate and strategize, it's no wonder that last week's HCM World conference was such an enlightening event. It has become commonplace to hear people talk of a “global village” and a “shrinking world”. Innovation Productivity Value Global HR Strategy Interculture Training WorkplaceDoes this mean we can connect better with people from any country or culture? When the business is moving, HR can lighten the load. 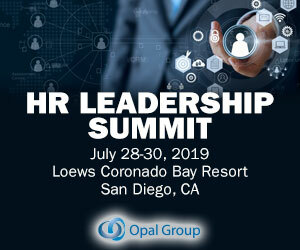 HR can be a leader in helping to minimize disruption to the business and employees while helping the business achieve the intended results of the move. Key strategies for relocation. Elevating HR’s role to drive a sustainable business future. Despite HR’s evolution over the past 20 years, HR is not consistently creating sustainable business value for organizations. Only 20 percent of business executives believe HR is adequately planning for their companies’ future talent needs 1. Coupled with workplace and workforce disruptions, the challenge to HR is clear: step it up, or you could lose your seat at the table. 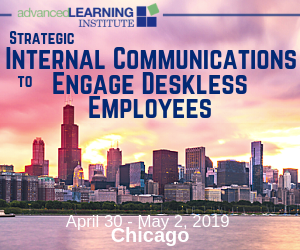 We asked Deloitte Consulting LLP’s Erica Volini , US Human Capital leader, and Art Mazor , Human Capital digital leader and global practice leader for HR Strategy & Employee Experience, for their quick take on the current state of work, the workforce, and HR. You’ve heard of “Davos,” the annual meeting of the global movers and shakers of business, held in Davos, Switzerland. The analysis in the report is from a survey of CHROs, other CXOs as well as functional HR leaders representing 13 million employees in 15 developed and emerging economies. According to an estimate by Google , about 80% of the global workforce is deskless, and that includes major industries like retail, hospitality, manufacturing, and science. 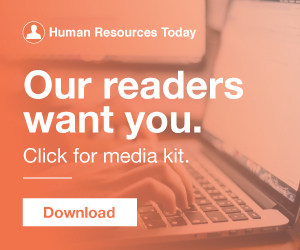 To engage employees, the Dow HR and communications team realized they needed a new approach—one that incorporated mobile and was targeted to drive desired actions. The post Four Winning Workplace Communication Strategies For Deskless Workers appeared first on SocialChorus. Add to this the knowledge that 90% of employees would be comfortable taking directions from a robot and yet only 6% of HR professionals actively deploy AI in their organization, and we can see there’s a big disconnect.2 Increasing HR efficiency. and they wanted to allow the rest of their global workforce to have the opportunity to enjoy the power of recognition. HR team designed a program they were sure would be an overnight success. Engage global leaders early in the process. Imagine this recognition horror story. The game teaches valuable lessons in planning and strategy, as each player tries to obtain various associated properties and create monopolies. Most of us would not play Monopoly without a plan or strategy. An HCM strategy will provide you with both answers. Written by: John A. As discussed previously in HR Times , the US manufacturing industry faces significant talent challenges that threaten its future (see If you build it, will they come? The talent imperative in the global chemicals industry. Posted by Duane Dickson and Marcus Johnson on October 28, 2015. Part 5 of “ HR-Driven Digital Transformation ” series. Throughout Gallup News’ decade-long research, very rarely has global employee engagement ticked past the 15% mark. For global companies, the answer is unlikely about whether the HR strategy is wrong. I was a part of the SHRM Talent Symposium hosted by the Puget Sound SHRM Chapters – Seattle SHRM , Lake Washington HR Association , South King County SHRM , and the Washington State Human Resources Council. I just came back from a quick trip to Seattle.